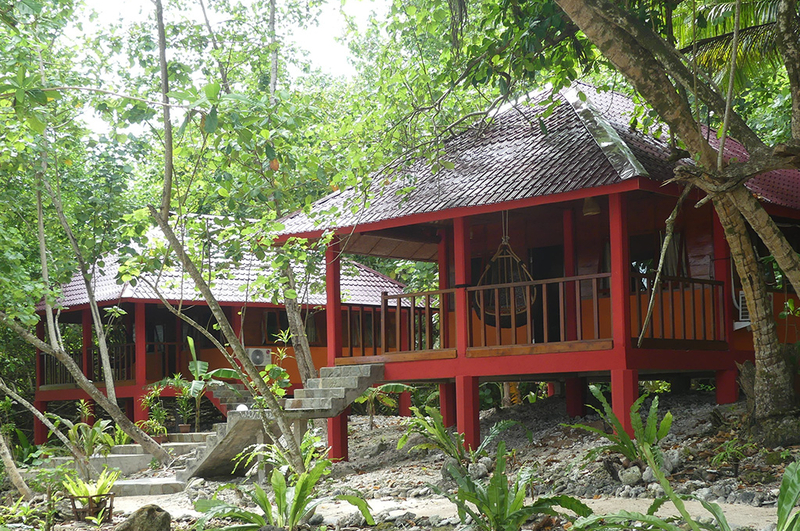 Sat back in amongst the fringes of the jungle canopy, our two secluded and totally private private bungalows both sit in their own epic locations. Overlooking the main Asu wave they offer the best in remote island accommodation. 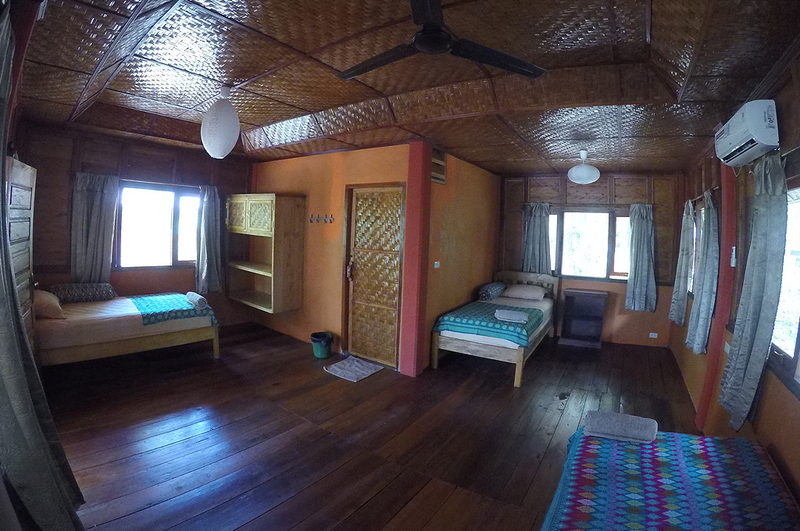 Each bungalow comes fully serviced including hot water and AC. 2-4 people can sleep comfortably in the large, airy main room that feels so open with all of the windows letting in the natural light and colours. It almost allows the room to be part of the jungle. There is a ceiling fan to keep the air inside fresh and all of the furniture is handmade. 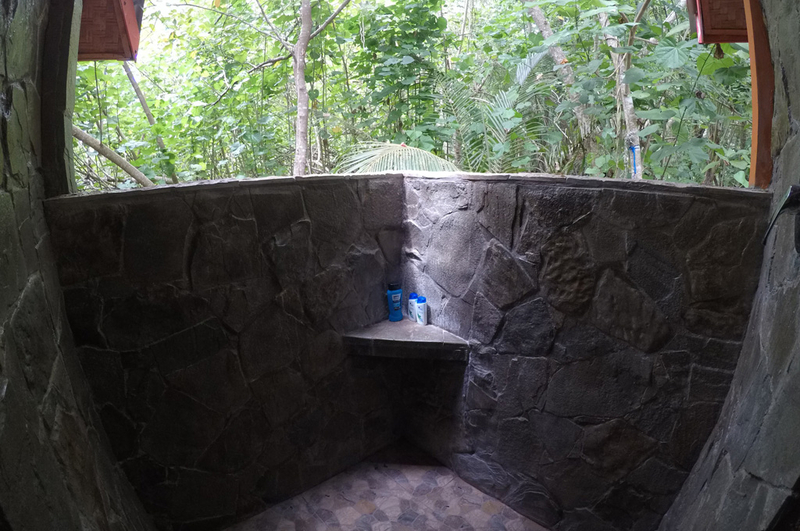 If you are going to stay in paradise you may as well shower in paradise with our private outdoor hot and cold rainfall shower. Showering under the stars whilst listening to the sounds of the jungle, it doesn’t get much better. 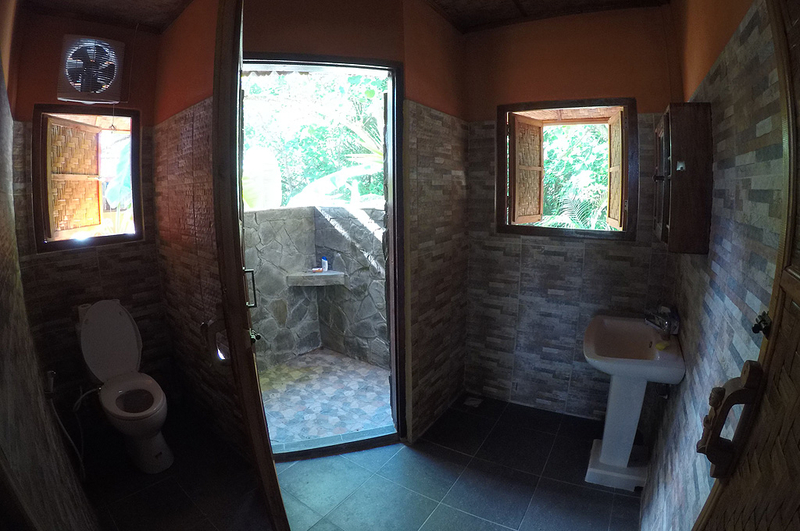 The en-suite bathroom comprises of a toilet, sink and outdoor shower. What better way to take in the view of the Asu wave than on your own private and secluded large balcony. Sheltered from he sun with table, chairs and hammocks what better place to check the conditions or just kick back and relax. A great spot to take breakfast or chill out and the end of the day. We also have a few egg chairs available if you want to crank the relaxation dial up to 10. Minimum 2 people for 10 nights $130USD per person, per day. 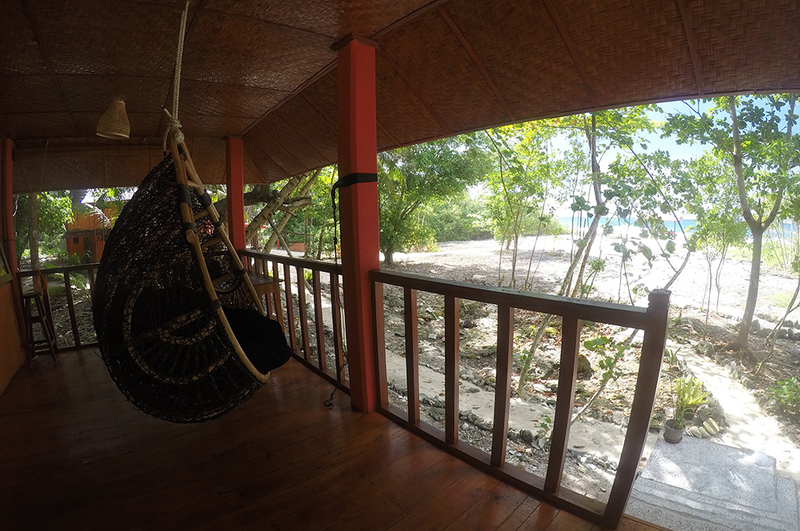 Includes all meals and non-alcoholic drinks/Nias Island transfers/surf guide/use of boat/fishing/snorkeling/SUP. All other prices including single supplement and low season rates on request. If you are looking for exceptional accommodation on a truly unique island paradise then Sozinhos Bungalows is what you are looking for.